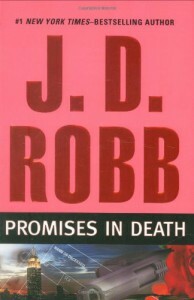 Nora Roberts (as J.D. Robb) in an excellent return to form in her latest 'in Death' novel. It starts off a bit slow, with grammar and writing more reminiscent of her earlier 'in Death' novels then the later one, however from the very first chapter the story grabs hold and sweeps all that away.